This end table is a perfect solution to the modern looking home. 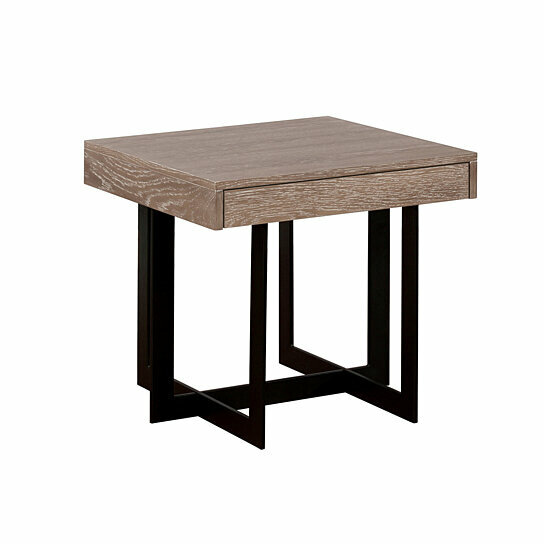 It has flat square shape solid wood table top in brown finish with metal feet in black finish. The table can be used to keep table lamps, decorative vases, photo frames, and more to serve its purpose to the most. It also has one drawer for storing small things or belongings. Use this end table with any color or theme furniture to compliment the interiors of your home.